Mobile network Three is no longer permitted to use the term 3.9G to describe its 'Superfast' DC-HSDPA data speeds, following a complaint from rival network EE. 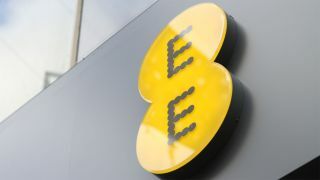 EE had taken umbrage with the use of 3.9G in Three's advertising and marketing materials as it gave the impression that the speeds were 'very close' to those offered on a 4G LTE network and took its discontent to the Advertising Standards Agency. However, the ASA were having none, upheld EE's claim that Three's claim was misleading and swung a vicious ban hammer in Three's direction, prohibiting the use of 3.9G from now on. The ASA said" "Three provided information on the differences between 3G DC-HSDPA and 4G LTE technology. [It] said it showed that DC-HSDPA was extremely close to 4G LTE in performance, and in some cases outperformed it. [It] said the 1, 2, 3 and 4 mobile phone generation technologies were not based on technical standards, but merely described the evolutionary nature of the user experience." "[It] said that although they had not intended the term '3.9G' as a technical one, [it] believed it was not misleading because [its] DC-HSDPA network was very close in terms of capability to 4G LTE." Presumably stood behind the ASA poking its tongue out at Three, an EE spokesperson said: "We're pleased the ASA agrees that this ad was misleading." Three began its 4G roll out in December, but is prepared to bide its time before giving the next generation mobile broadband tech the hard sell.